SMA Ladies Wing kickstarted 2019 with a potluck party on January 19th, 2019. Many members attended with family and enjoyed the session over some great food. It was also on this day that the SMA Karaoke club was inaugurated by the President of SMA, Mr. Jayakumar, and the Vice President of SMA, Mr. Prem. The SMA Karaoke club will be led by Ms. Sheeba Stephen. On March 16th 2019, SMA Ladies Wing facilitated a workshop on “Nirvana breathe right -live long” at SMA Hall. 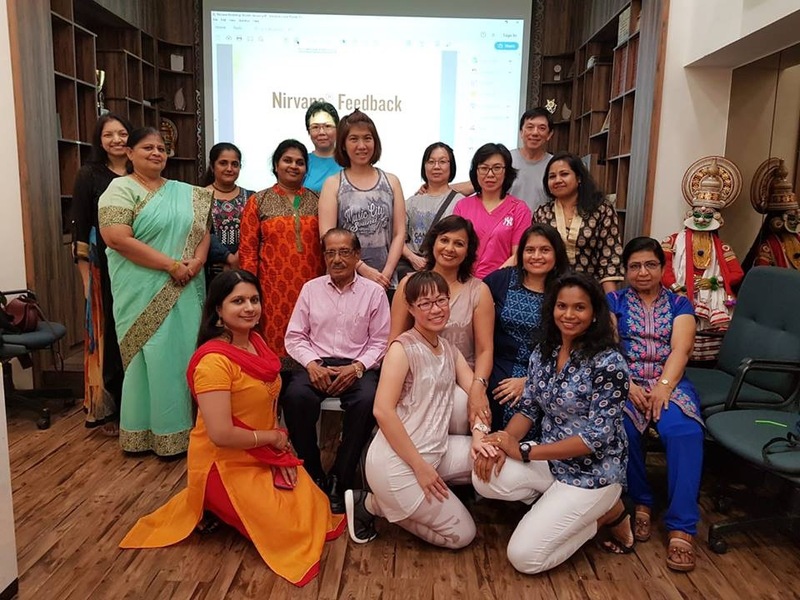 The workshop was conducted by Nirvana education expert Ms. Meera Nair. Ms. Meera Nair is a Nirvana education expert, specialist and International Coordinator at Nirvana Fitness. She is a Certification specialist, presenter and examiner, Southeast Asia and India at Athletics and Fitness association of America-AFFA. The informative workshop was attended by both members and non-members of the LW. The response was heartening, and included women from other races too. SMA LW will be actively participating in the Indian Cultural fest (ICF) 2019 organised by LISHA on April 27th. Discussions are ongoing with Breast Cancer Foundation Singapore to conduct a Breast cancer awareness programme and Mammogram screening. Discussions are ongoing to organise a talk on a common issue faced by many ladies on menopause, hormonal changes and related stress.